YAY. The travel posts have finally begun! As it is 47 days until I'm flying to Mexico with my boyfriend definitely not counting, I am starting to buy and round up everything I need for my journey. To begin with, travel accessories are a huge essential for me as I have had endless trips where I've forgotten something ridiculously important resulting in spending stupid amount of money in the airport. Thus, this year I'm preparing super early to ensure I've got everything packed, not missing a single thing off of my list. 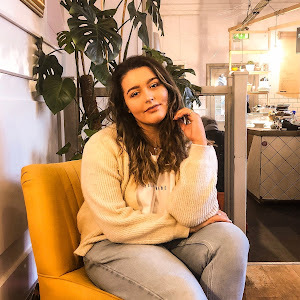 Today I'm going to be talking about my favourite travel accessories, both the essentials you CANNOT forget and a couple of fashion accessories that I'm LOVING at the minute. SUNGLASSES - For those of you who know me well, you will know my complete OBSESSION with sunglasses. I literally cannot wait to stock up on sunglasses before I head off at the end of next month. Aviators, mirrors, reflectors and every single shape possible - I absolutely LOVE them! I am still yet to buy some new sunnies this year which is a complete shock but I will always go back to these gorgeous shades from Firmoo! These pink framed, copper reflectors look stunning in the sun light and I cannot wait to wear them in the hot Mexican weather! Let me know any sunglasses brands you are living for...looking to find my new fave sunnies brand of 2017. HIP FLASK - Okay so this is a Christmas present I have been finding the right opportunity to use. This beautiful holographic hip flask was gifted to me by my boyfriend, as he knows my love for all things holographic and pretty much anything in the miscellaneous section in Urban Outfitters. Fortunately, we have managed to get hold of an all inclusive hotel where we are supplied with free alcohol in our rooms! YAAAS. 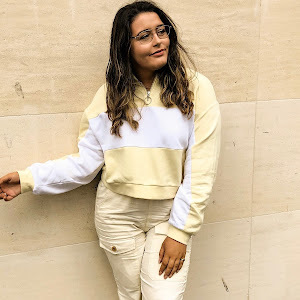 I can tell you, after the stress of my exams I'm going to need to chill and cannot wait for a relaxing glass of wine or cocktail on the beach. This hip flask is going to be super handy as we are lucky enough to get a free mini bar and alcoholic beverages in our room. This gorgeous hip flask will therefore not be only used for its aesthetics in Mexico photographs, but also to store some of our room drinks and take them down in the evenings. PHONE CASE - Something I'm very excited to be taking on my travels is this phone case from Case Company. 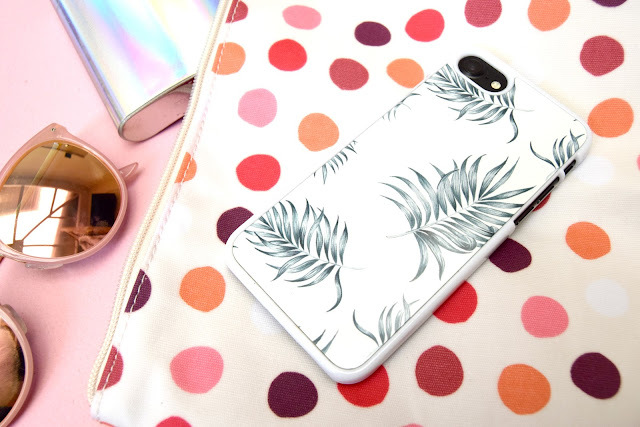 This fashion accessory is going to be a staple in my travel bag for Mexico - I love the summer-y palm tree leaf pattern on this particular phone case. 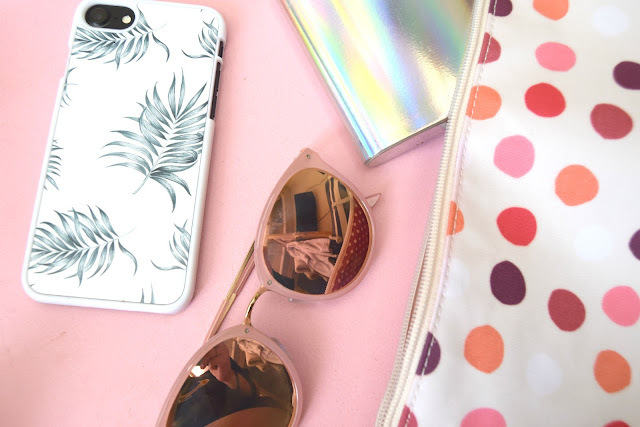 Case Company have an incredible array of phone prints to choose from, as well as the opportunity to design and personalise your very own phone case. 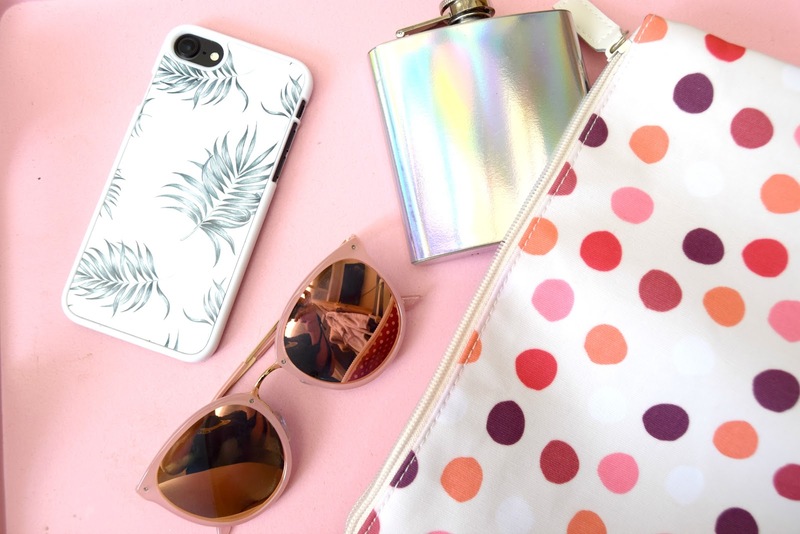 There are so many option in terms of finish, pattern and type of phone case you want - there is literally something for everyone, that caters from everyone's tastes. I specifically chose this one to help me get through exam period - it is such a struggle getting excited for my holiday during such a stressful time so I opted for a summer-y phone case to brighten my mood and spirit. It is also a lovely reminder that I will be relaxing and having the time of my life at the end of June...YAY! 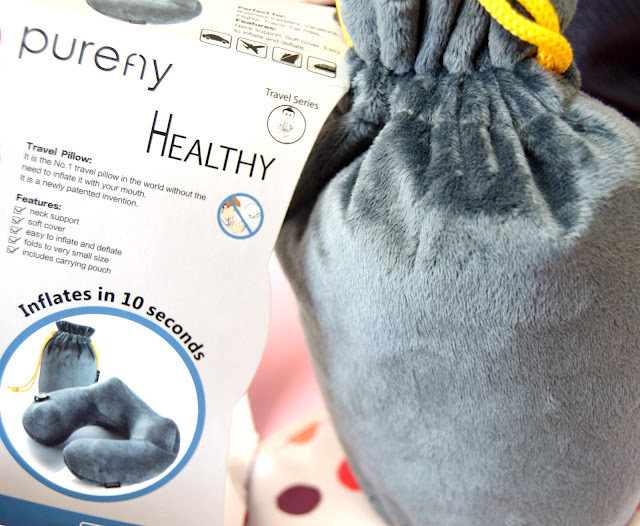 TRAVEL PILLOW - Moving on to the boring accessories, but most definitely the essential things you will need whilst travelling. The first is a travel pillow - something I've never bought before and never understood why. I always like to sleep on the plane for long flights to fight jet lag early but always end up waking with the worst neck, back and shoulder pains. My boyfriend was so cute and bought us matching travel pillows so we can have an easy, pain-free flight - I mean, we are flying for 12 hours so it would just be ridiculously inconvenient to be in pain for the majority of our journey. These teal fluffy travel pillows are ideal for a cosy travel - they are from a brand called Pureny that sell their products on Amazon. As labelled, they have a soft cover, provide neck support and are easy to inflate/deflate whilst flying. They are also convenient as they can be folded into a small size and popped in the corresponding carrier pouch. ADAPTER PLUGS - A very boring essential are adapter plugs. I cannot even tell you the amount of times my family have forgotten to pack these whilst travelling aboard - too many to count! 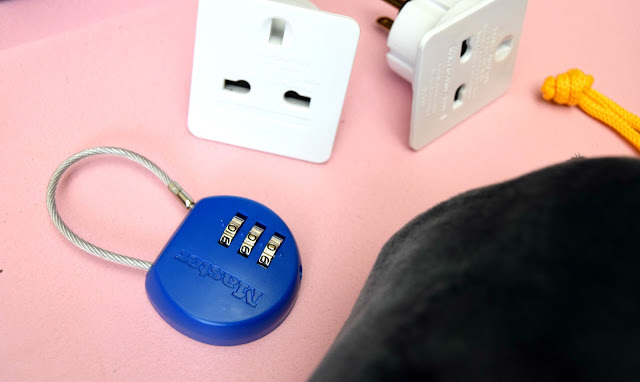 From charging your electronics to drying your hair, you NEED a travel adapter for everything! It is such a shock how much you disregard the amount of electricity you need whilst away on holiday. 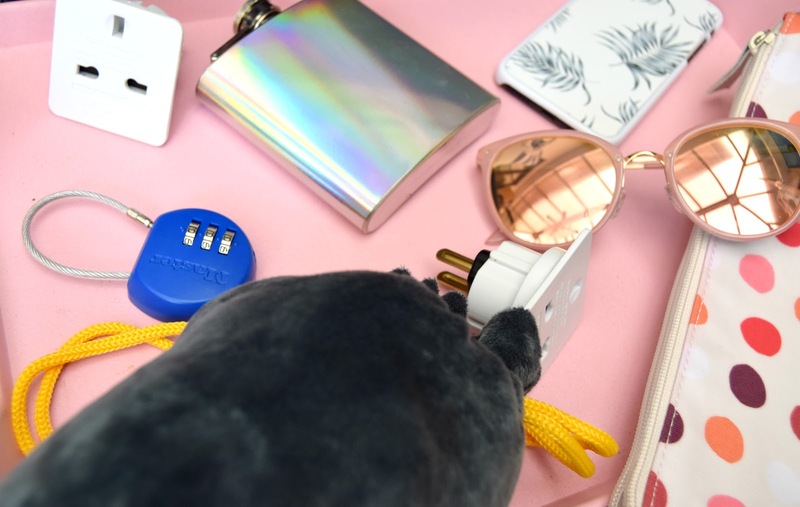 I'm not really going to talk about this for too long as it is simply just an adapter plug haha...but make sure to pop it on your travel list to avoid forgetting it! TSA SUITCASE LOCK - The final essential is this TSA suitcase lock from B&Q - you can literally buy these at any local hardware stores or online. Everyone's worst nightmare is getting their personal possessions and valuables stolen once popping their suitcase through customs, followed by the nervous waiting process to see whether your case has arrived at the correct destination. To avoid your suitcase from being rummaged through, I strongly recommend purchasing a lock to ensure security of your items. It would literally be the worst if I turned up at the airport in Mexico and my things had been taken so securing my case with a lock is a complete essential! 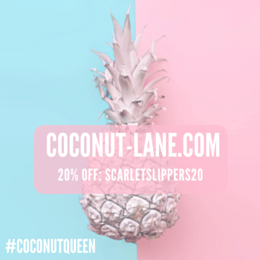 What are you favourite travel accessories? 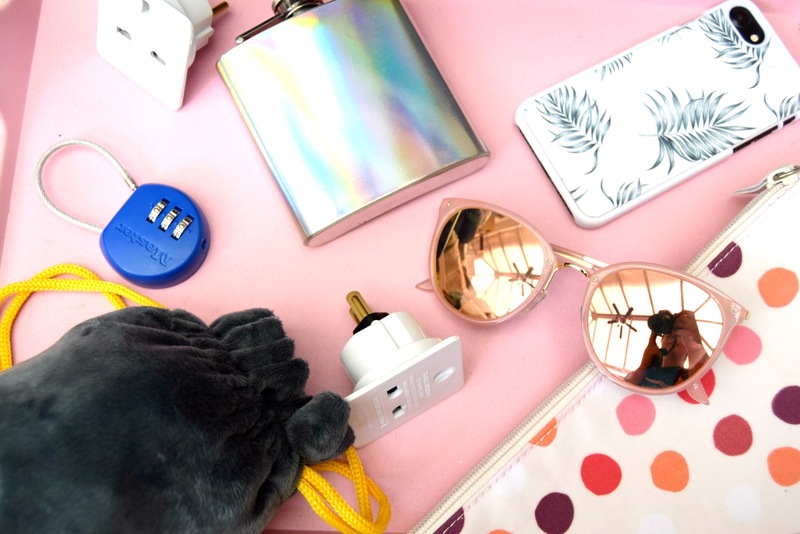 What are the essentials you always forget to pack? I was sent the phone case (from Case Company) to review; however, all opinions are honest and my own. I love the travel pillow for long haul flights, makes it so much easier to fall asleep. The best travel accessory I have is the travel wallet, this holds all my important information such as boarding pass, passport, travel documents etc all in one place.